Take 6 large crabs, boil & pick them then beet 12 eggs very light and season with pepper, salt, parsley, thyme & mix all together and fry them in butter. Eggplants & Tomatoes can be added when in season. Asparagus cut fine is very good dressed as the crabs. 1. Heat oven to 400º F and prepare a roasting pan by coating it in oil. Place the chopped tomatoes and diced eggplant in the pan and coat with more oil. Season with salt and pepper. Roast for 8-10 minutes, until they are soft and start to caramelize. 2. 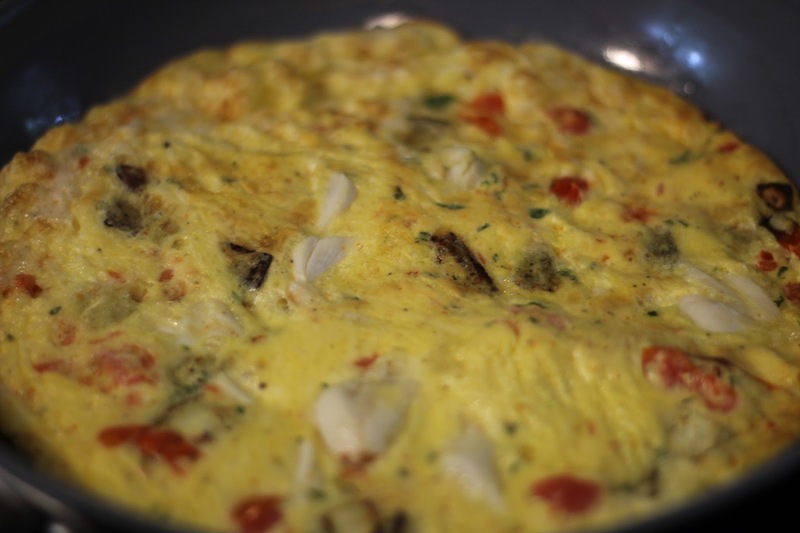 In a medium sized mixing bowl, whisk the eggs until light and then add all of the ingredients except the crabmeat. Whisk very well. 3. Heat half the butter in a 10" frying pan, suitable for making omelettes or frittatas. Heat on medium heat to make sure the butter does not burn. 4. Gently fold the crabmeat into the egg mixture, being careful not break apart the large chunks of crab. 5. Pour half the mixture into the melted butter in the frying pan. Cook on low until the bottom is cooked all the way through. To cook the top, either flip the omelette in the pan, or place the pan under a broiler to cook as you would a frittata. It is done when it puffs up and looks dry to the touch. Careful not to overcook it! 6. Repeat with the second half of the egg mixture. 7. Garnish with sliced tomatoes and serve while hot. Hot sauce tastes really good on this dish! 1. Melt the butter in a medium saucepan. Stir in the flour, salt, and pepper. Cook until thickened and bubbly; long enough to cook out the flour taste. Gradually add milk and whisk until the mixture is hot, but do not let it boil. 2. Add the crabmeat and simmer on low heat for about 20 minutes to allow the soup to thicken and the crab to heat through completely. 3. 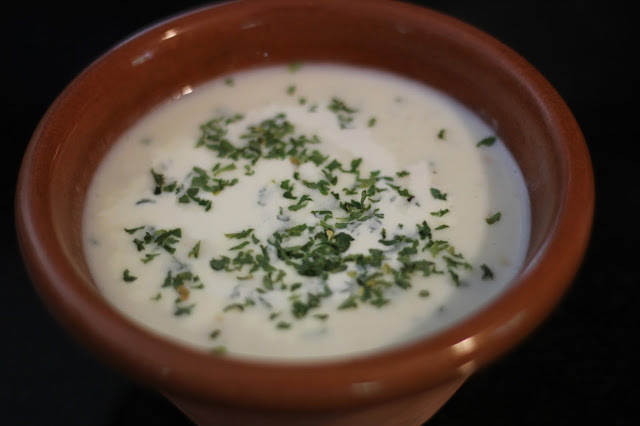 Top with cream and parsley (and even more crabmeat, if you have it) just before service.